The shopping industry in Phuket is developing more and more rapidly every year. New shopping centers are amazing with their scale, choice of shops, restaurants and a lot of entertainment. 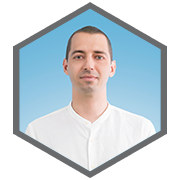 More and more attention is paid to recreation and entertainment. In addition to cinemas, traditional shops and beauty salons, new parks for walks, exhibition grounds, playgrounds, recreational areas and aquariums can be found on the territory of new shopping centers. We have selected for you a list of the largest shopping centers in Phuket, where you can spend your evening. One of the most famous shopping centers in Phuket. Holds under its roof 5 levels, more than 250 boutiques of world famous brands and restaurants for every taste. There is also a grocery store and an excellent food court. Here you can find almost everything you need: from home products to food. 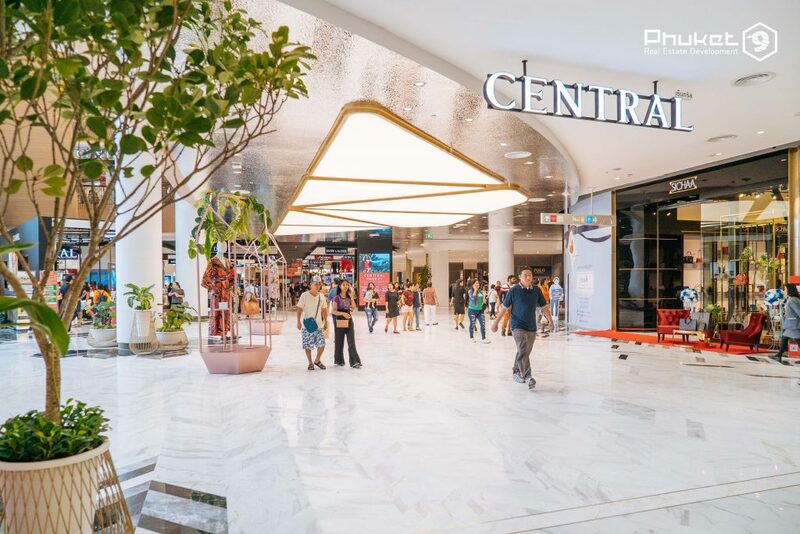 Moreover, the shopping center is expanding and a new building has already been built, which in scale exceeds all shopping centers in Phuket and even in Thailand. The project is a huge duty-free shopping center. The choice of cosmetics and perfumes from leading brands, alcohol, clothing and accessories are impressive in scale. A wide range of souvenirs, sweets and products for children. Exquisite interior and a great choice for shopping will not make you bored. At the moment, the shopping center is expanding and the construction of a new building, which will accommodate even more shops and goods for services, is in full swing. One of the largest shopping and entertainment centers in Phuket. There is everything that relies on this complex: 4D cinema, bowling, beauty salons, many shops, restaurants and even a night club Famous. Of course, in comparison with the Central Festival there are fewer shops, but nevertheless, in Jungceylon the choice of beauty salons is more. Here you can make not only a massage, but also an outgoing treatment for the face and whole body. A large shopping complex of the stock direction. Here you can buy products of famous brands with discounts of 10-70%. Also in the complex there is a restaurant and kiosks with food. On the sides of the complex are shops where you can relax from the tiring shopping. From all of the above, we can conclude that Phuket – an excellent place for shopaholics. On the island there is a greater variety of shopping centers and shops, where you can find everything you need. Here in one shopping complex can combine both household goods and food. In addition, in addition to shopping, you can have a great and fun time with your children or watch the world premiere of cinema. Infrastructure and its development has a direct impact on the attractiveness and value of land and real estate in Phuket. The opening of large shopping centers with the attraction of world brands to the island positively responds to the housing and rental market. 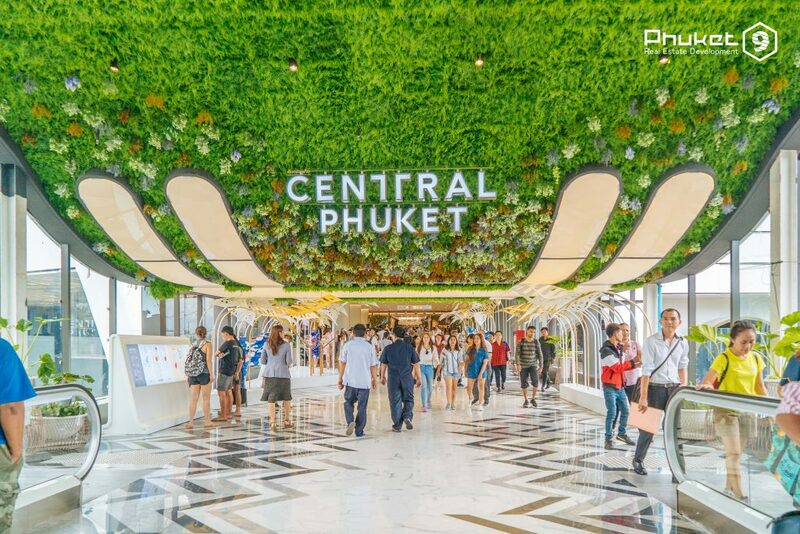 In addition, such large investments as, for example, the construction and launch of the Central Center of Phuket, an indicator for calculating future stability and market growth.